In what can be considered as an attempt to avoid keen competition in the upcoming congress, General-Secretary of the opposition National Democratic Congress (NDC), Johnson Asiedu Nketia, has claimed that the changes in the leadership of the party was a major factor in the massive defeat that the NDC suffered in 2016. His position has come under threat since his deputy, Koku Anyidoho, picked nomination forms to contest him. 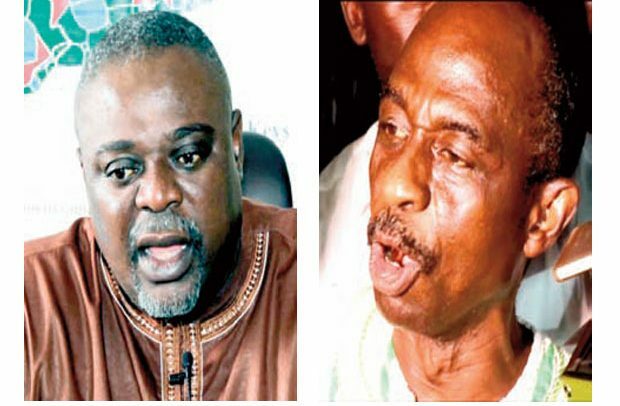 Some political analysts have predicted that Koku is likely to defeat Mr. Asiedu Nketia, popularly called General Mosquito, at the delegates’ congress of the party in October. There is unconfirmed report that Asiedu Nketia had sent emissaries to Koku to pipe down to allow him to go unopposed. The previous congress, held in 2014, acrimoniously pushed out Dr. Kwabena Adjei and Yaw Boateng Gyan who had helped in bringing the NDC to power in 2008 as National Chairman and National Organizer respectively. The NDC then brought in Kofi Portuphy and Kofi Adams as National Chairman and National Organizer respectively after their campaigns were glaringly sponsored from the Flagstaff House when John Mahama was the president. However, after just two years at the helm, Kofi Portuphy and Kofi Adams alongside the NDC executives supervised the party’s worst electoral defeat in 2016. Mr. Asiedu Nketia, who is contesting as General-Secretary for the fourth time, is now realizing that it was that ‘wrong’ decision to change Dr Kwabena Adjei and Yaw Boateng Gyan which ultimately hurt them in the December 7, 2016, general elections, sending the NDC packing out of office and making then President Mahama a one-term president . In essence, he is saying that the NDC should not have changed a ‘winning team’. Interestingly, these same political grouping including Mr. Asiedu Nketia wanted their rival New Patriotic Party (NPP) to change its leadership, particularly Freddie Blay as Chairman, when the ruling party went to Koforidua to elect its national leaders last July. He said some in the party felt he had grown too powerful and therefore sought to “clip his wings” by sponsoring candidates to decimate the 2008, 2012 winning team. In analyzing the NDC’s worst ever electoral defeat since the party was formed in 1992, the General-Secretary said “you don’t look at the constant factors; you look at the variables that came on board”. He argued that if the “main objective” of the new entrants to the NDC National Executive Committee was “not to clip the feet of the elephant (reference to the NPP)” but that of the party’s General-Secretary “then we will be left with less power to win the elections”. “All the discussions about Kwesi Botchwey report, did you hear a single comment about me or about my performance?” he asked when he tried to tout his political integrity. In a related development, former President Jerry John Rawlings who founded the NDC challenged the party’s delegates to select candidates with integrity to lead the party during the regional delegates’ congress slated for today.